Aiming to build a mass market for energy efficiency products and services, energy industry startups and established players are rolling out a range of connected demand response and demand management products and services for homes and businesses. They range from smart thermostats and home energy management apps to lighting controls, solar energy and battery storage systems. Positioned at the leading edge of the U.S. residential solar market, SolarCity, SunPower and others are working with public and private partners to commercialize the first generation of home solar-battery storage systems, as well as link in electric vehicles (EVs) and EV charging stations. 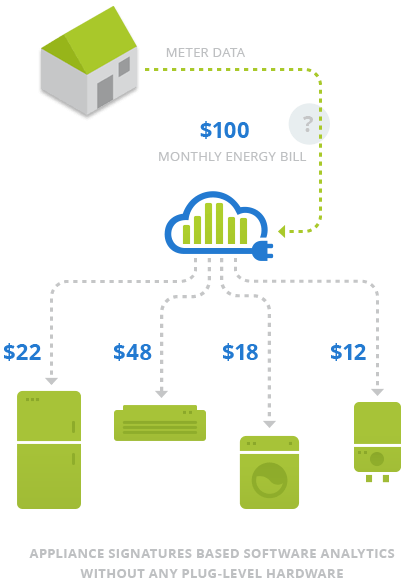 Companies such as Nest (acquired by Google in a $3.2 billion transaction this past January) are leveraging the power of cloud computing in a bid to build a mass-market home energy management platform. SolarCity just announced it is launching a mobile app “that aims to strengthen its relationship with customers by providing real-time energy use data and creating a social network for its customers to swap stories and photos,” Forbes' Ucilla Wang reports in a Dec. 5 article. Facing real competition from new market entrants for the first time since the dawn of electricity grids, utilities are keen to be part of the action. On the other hand, they are taking reactionary, rearguard action to stem market and environmental regulatory reforms that would accelerate the pace of change. Viewed as a means of reeling in and keeping prospective customers, smart home technology vendors and energy companies are turning to public outreach and customer engagement as key business development tools. On Nov. 20, Bidgely, a young clean tech company that specializes in “customer engagement and utility intelligence,” announced that London Hydro will integrate its cloud-based energy intelligence analytics with its My London Hydro customer portal. Expected to go live in early 2015, the enhanced My London Hydro Web portal will reach over 150,000 homes, “adding appliance-level monitoring and personalized energy savings recommendations to London Hydro's portal to help the utility improve customer satisfaction and engagement levels,” Bidgely highlights in a press release. Its first contract in Canada, the London Hydro project follows closely on the heels of a much larger deal Bidgely sealed here in the U.S. On Nov. 6, Texas electric utility TXU Energy announced that it had signed a deal to integrate its MyEnergy Dashboard with Bidgely's cloud-based energy services and advanced analytics platform. TXU's project will provide valuable empirical data and insights regarding utility customer uptake and use of personalized energy management tools and analytics. This affords executives at utilities and app and platform developers, as well as investors, indications on prospects for commercial success. The data gleaned from deploying this first generation of smart energy data and analytics platforms will be of great value in other ways. It will enable power grid operators and regulators, as well as utilities, to evaluate demand response (DR) and demand-side management (DSM) as mechanisms for enhancing the efficiency, flexibility, reliability and resiliency of U.S. power and energy infrastructure, as well as accelerate integration of renewable energy generation capacity. The key to Bidgely's cloud-based, real-time energy analytics platform is its ability to “disaggregate” data on electricity usage within buildings and homes down to the level of individual appliances, equipment and devices without the need to install sensors or other hardware. That data can then be used to lower energy consumption and improve energy efficiency. By making that information accessible to home and building owners, it can also enhance customer engagement, or so the reasoning goes. Results from two 2013 case studies in which Bidgely's energy analytics platform was used – one in California and another overseas – showed that average energy consumption dropped 6 percent, with a maximum of 7.4 percent and a minimum of 4.7 percent. The international study revealed high levels of customer engagement, garnering an 86 percent approval rating from users.